Once again our girls are back in SK! They are returning from their SMTown World Tour III Tokyo, which will broadcast in October. How did yoona injured her big toe? In the arms of the angel – back from the sweet madness and the glorious of happiness, it’s felt so hard at the end of the day. I know you so tired everywhere you turn. 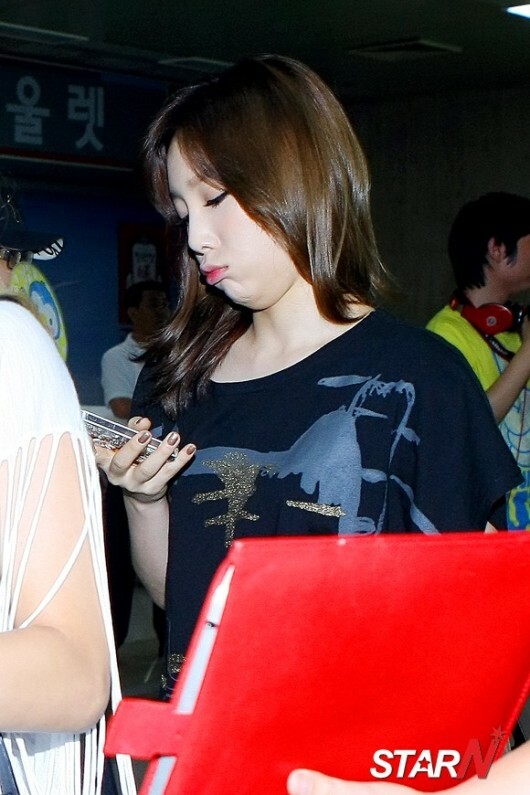 Soonkyu noona?are you sick again? ᅲᅲ take a break noona, recovery your energy first..
Why did the paparazzi take a awful picture of hyoyeon man..that’s messed up..but hyoyeon will always be beautiful. I just hope that isn’t the only photo they took of her. Quick question: HOW ARE THEY STILL ALL GORGEOUS WHEN THEY’RE GETTING OFF THE PLANE? I look like s***! No literally, I have like messy hair so I redo that. I’m wearing SWEATS! Ugh, I’m like UGH while they’re gorgeous, beautiful, and pretty! They’re so pretty! They each have their own styles! Get well Sunny! Health is always first! Remember?